It’s Christmas time, the bitter chill of the wind has driven all warm bodies into the glow of their light-strewn and Santa Clause-d houses, and as the youngest daughter of the family crawls up onto her grandfather’s lap to hear “The Night Before Christmas” for the very first time, Grandpa strikes a match and brings the flame down to the bowl of his pipe. Now, while the various nanny-state and health crusaders of this country might portray this portrait as picturesque up to the point that Grandpa lights up, Paul Creasy, current Chairman of the Pipe Tobacco Council and General Manager of the Pipe Tobacco Division of Altadis USA, explains why this scene remains as Norman Rockwell as it gets from beginning to end. 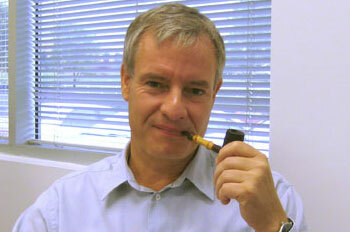 Which is a viewpoint that Creasy and the Pipe Tobacco Council are looking to change. Creasy, who has been with Altadis for 21 years and acted as Pipe Tobacco Council Chairman for the past five, explained that this very attitude is what is posing the greatest threat to pipe tobacco today. “One of the things that we’re concerned about constantly in the pipe tobacco business is being regulated out of existence by accident,” Creasy said. Creasy went on to explain that, in most circumstances regarding tobacco and politics, political motivations often prove to be the primary cause for the attacks on lump-sum tobacco. Recent meetings with the FDA regarding the distinctions between the different types of tobacco, though, prove that, though the difficulties that face the cause are great, at least the Pipe Tobacco Council is going to be proactive in what their opponents view as their futility. Though Creasy stated that the meeting with the FDA went well and that his message seemed to get through, he still warned of the dangers that the inadvertent acts by the FDA and ambitious politicians pose to the pipe tobacco industry. And the fervent zeal of do-gooder politicians extrapolates this effect. Some of which, primarily, are distinguishing pipe tobaccos from cigarettes to avoid the “logistical nightmare”, as Creasy puts it, of a rotating health warning label. Creasy went on to explain how something as simple as a common misconception lies heavily at the root of the fight to free tobacco from extensive regulation. Which, again, is what lies at the heart of the issue here. So, with all this talk of “flavoring” and “casing”, what exactly is it? 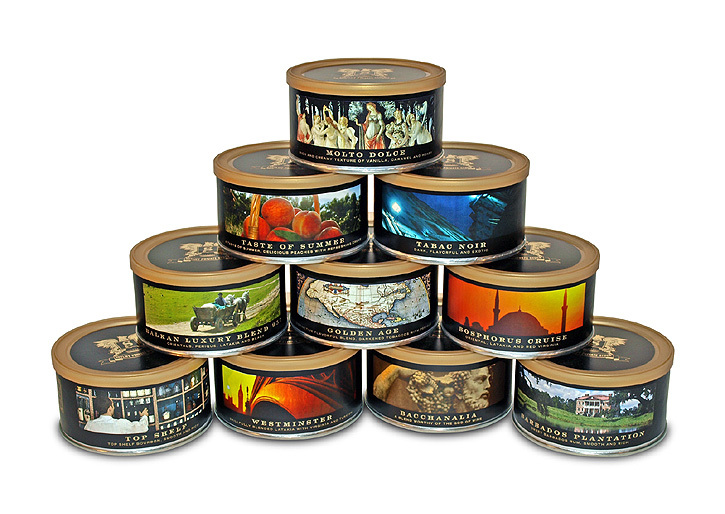 What is the process through which a harvested tobacco leaf is cured to become your pipe tobacco? The next step, Creasy said, involves taking the cased leaf to the “blooming” department, where the “top flavors” are added, from cherry, to vanilla, honey, whiskey, etc. And while this generations-old process may give Grandpa a little extra enjoyment when he brings out his pipe, it conversely paints a target on the backs of tobacconists for those who believe that adding flavoring to tobacco is meant to entice children into smoking. 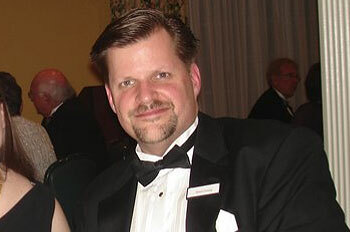 Erik Stokkebye, President of Villiger-Stokkebye International for the past six years, lent his opinion to the arguments facing pipe tobacco flavoring. 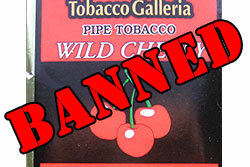 Creasy added in closing that the restrictions and regulations, such as the New York City ban, facing flavored tobacco today are not the end of the argument, but the beginning, that this zeal for attacking what the self-righteous deem to be “evil” and “corrupt” will not end with tobacco, even if tobacco were to be illegalized. So, when Grandpa’s done reading Little Susie “The Night Before Christmas” and your family gathers around the table this holiday season, take a good look at all the flavorings (natural and/or artificial) collected on the table in some form or another, and imagine a world in which the government condemns your feast as illegal, all for the sake of the greater good. Carter R. Lyles is a student at the University of Central Florida in Orlando, FL and at the University of Florida in Gainesville. He is a journalism/psychology major, and in addition to his work at Pipes Magazine, he has contributed articles to Cigar Chronicles, The Alligator, Thursday Night Magazine, and The Fine Print. Excellent article describing the unintended consequences of, and the slippery slope created by, the politicians and control freaks who think they know what’s good for everybody else. Some day we’ll all be eating only seaweed and plain tofu — because food’s only purpose is nourishment. You know, there are a lot of pipe smokers that are a) retired, b) well-to-do, or c) both. 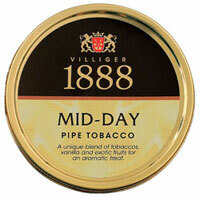 It is time for those guys to step up, put their time/money out there, and save pipe tobacco and pipe smoking. Credit the guys at the Seattle Pipe Club doing just that when they tried to amend Washington’s vague law that ended up outlawing the import of pipe tobacco. And despite the fact that I have two kids, full time job, etc, I still take the time to write my legislators and visit their offices whenever tobacco related legal issues arise. Credit to Kevin and PM staff for keeping us aware of these things between babe photo shoots. We all need to help. You can no longer happily puff on a pipe or cigar on your front porch and lazily assume you’ll be able to do it forever. Get off your arse and do something. We should learn from the Tea Party: consistent email campaign to educate and advocate makes a difference. After this great article and others I understand the issue. Help us with the details of the target and we will get it sent. Every time I read one of your articles I envision a distinguished world traveler and raconteur of about fifty some odd summers. You’ve packed a lot of living into your few years, and it makes your articles good reads. Kill all the cows because butter is bad. I don’t understand how cotton candy vodka sold at my local liqour store is perfectly fine, and these morons have a problem with some flavored tobacco. Children are no longer allowed in vehicles. It’s way too dangerous. Nevermind, NO ONE is allowed to drive! Everyone is crazy for thinking driving is safe and I must protect them! I hope I live to see when America wakes up. I’m hoping my generation kicks these know-nothings in the teeth. Figuratively speaking. Okay… maybe not 100% Figuratively. Great article as usual Mr. Lyles. You should run for some kind of office. We need more citizens like you. I hope you impact America, it’s political malarky, and tobacco for the better. Best of luck to you. Thanks for the comments guys. I’m quite pleased with Carter’s work myself. He is working on Part II right now. I’m not so sure that these types of laws are really “inadvertent” in their effect on pipe tobacco. I think the ultimate goal, really, is simply to ban ALL tobacco, and something like this is really just a step down the road to that larger goal. Great article. Its unfortunate but true that tobacco, of all kinds, has become a favorite point-scorer of politicians of all stripes. I think, as pipe smokers, we need to be more public about our pipe smoking, our advocacy of pipe tobacco culture, and the differences between pipe tobacco and cigarettes. I really cringe when I hear fellow pipe smokers say they are embarassed to smoke in public, which is an attitude I find prevalent among the younger set of pipe smokers, such as myself (30). If we are invisible, and unwilling to engage friends, family, and the public at large, then we will rightly be treated as if we dont exist, because to the vast majority, we wont. 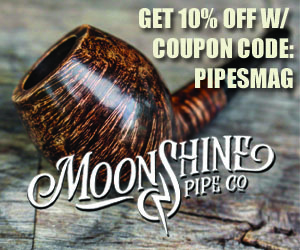 Im a transplant to NC, and I drive through tobacco fields every day, yet encounter people all the time who say they have never known a pipe smoker. Im confident, through my own interactions, that if more people knew what pipe tobacco was about our issues would be greatly diminished. Spartan believe me the same folks that don’t like our pipe tabacco have issues with booze to, this is a resurgence of the temperance movement. The alcohol industry has a bigger lobby and right now they are trying to eat the elephant one bite at a time. Look at the political landscape and the religious fundamentalism that’s going on, we’re now back to arguing about birth control. I suggest one learns about growing curing and flavoring their tabaccosand because that’s all we’ll be left with. 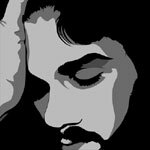 Just for a disclaimer I have no issues with people following thier own religious beliefs, my problem lies when they think thier beliefs are better then everyone else’s and need to foist them upon everyone.